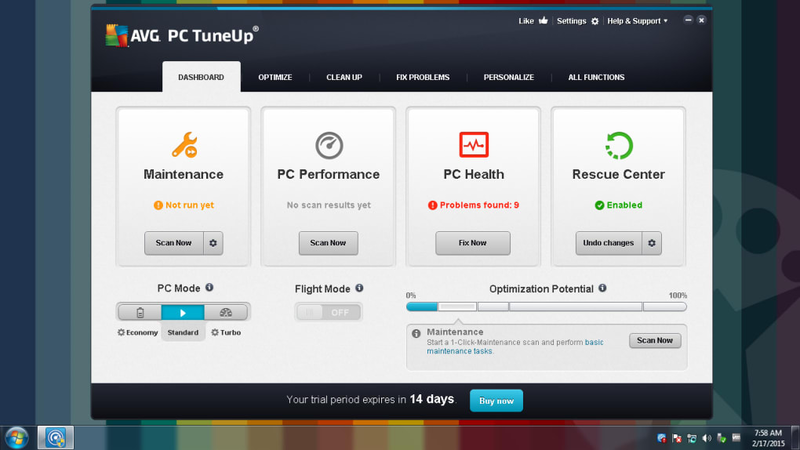 AVG PC TuneUp is an optimization application that has become an essential part of PC maintenance programs. 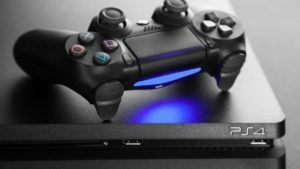 If you’ve had your PC for awhile, it’s not uncommon for it to get slower over time. Part of this has to do with accumulated clutter. 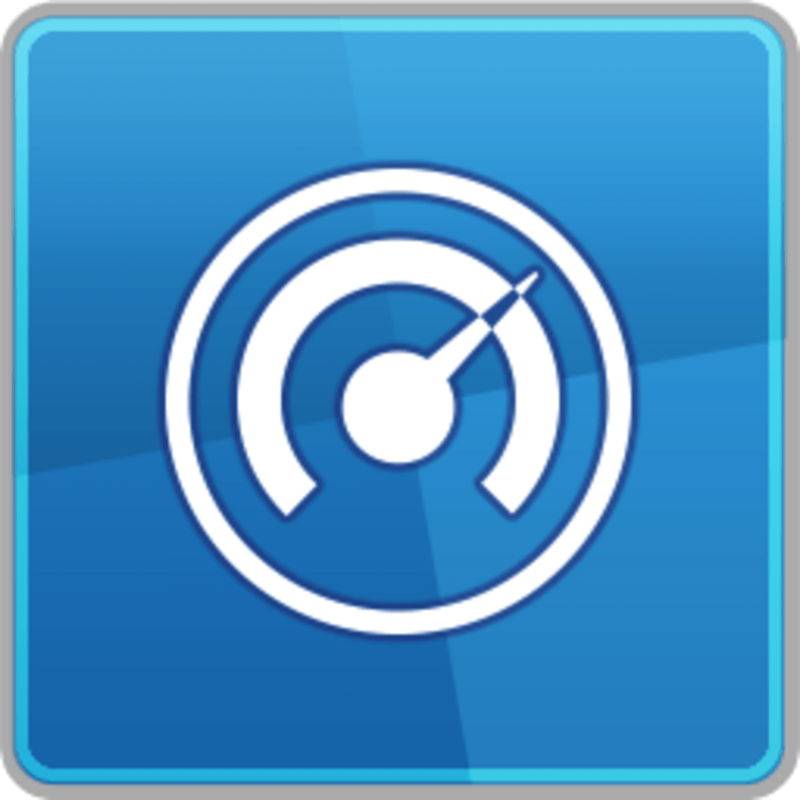 You’ll want to use an application that optimizes your computer to get it back up to speed. AVG PC TuneUp is a good option. The program helps remove browser traces and other file clutter to ensure your PC is running its quickest. 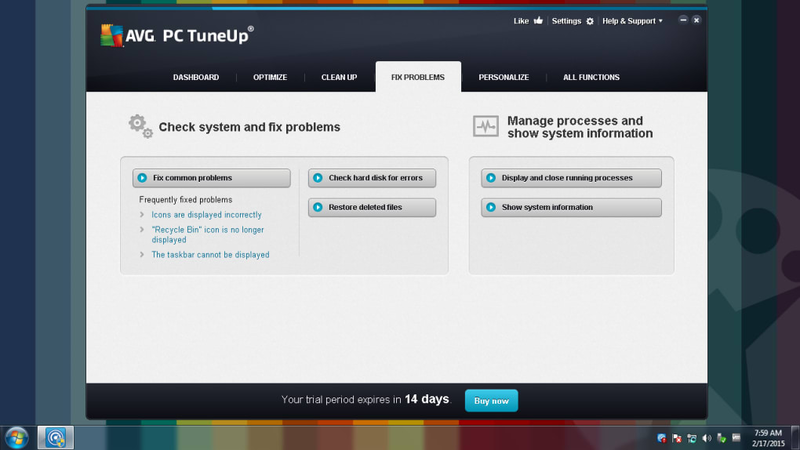 When you launch AVG PC TuneUp for the first time, the programs performs a system analysis and displays the 1-Click Maintenance window. 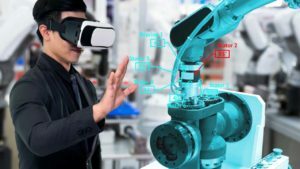 This provides you with an overview of your computer's main problem areas, the specific problems it has found, and a "1-click" button to fix them. 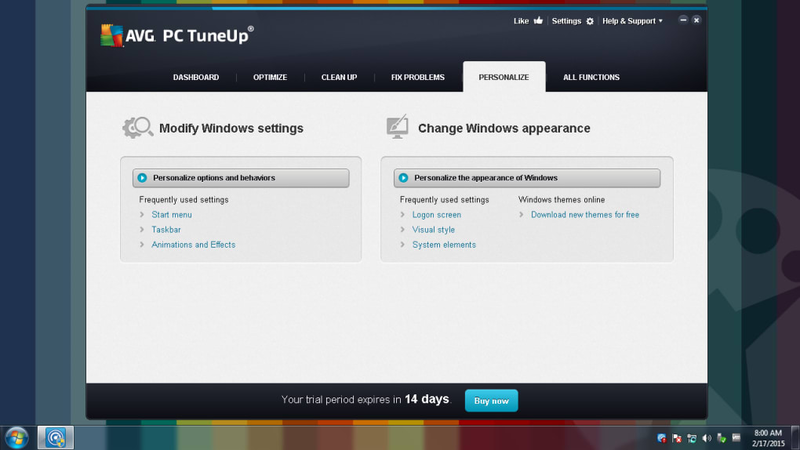 AVG PC TuneUp ' main window is divided into several tabs, each one of them devoted to a different purpose: status & recommendations, gain disk space, customize Windows and more. The whole program exudes efficiency by only showing essential information unless you choose to look deeper into any one option. 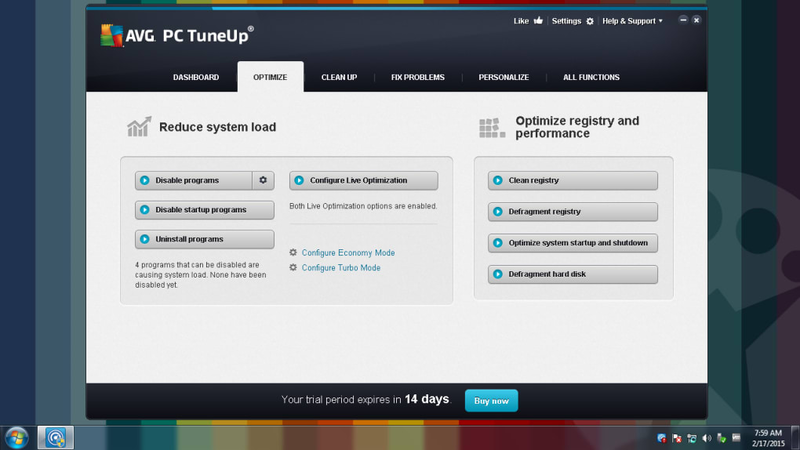 A complete list of AVG PC TuneUp ' functions - and there are many - is available under the Overview of all functions link in the top right corner of the program. AVG PC TuneUp includes tools to optimize system startup, defragment the hard drive, clean broken keys in the Windows Registry, restore accidentally deleted files, check your hard drive for errors, and modify hidden settings and customize Windows’ appearance, just to name a few. Other interesting utilities in AVG PC TuneUp are a file shredder, a complete system report generator and the excellent 1-Click Maintenance tool, which lets you automatically and regularly scan for some of the most likely issues your computer might encounter. Among some of AVG PC TuneUp 's newest features are an Economy Mode - perfect for saving battery when you are on a laptop - and a flexible, automatic program deactivation option, ideal for when you need peak performance for certain tasks. 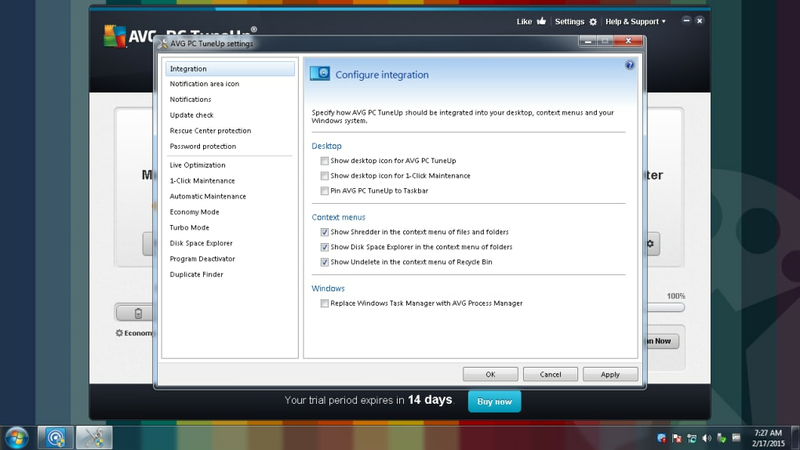 On top of all those great features, AVG PC TuneUp comes equipped with a myriad of new features. 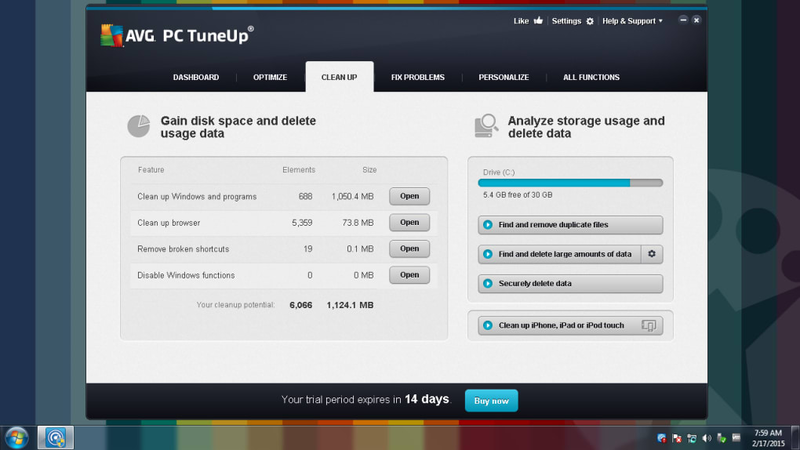 The TuneUp Disk Cleaner, for example, removes junk data from over 150 programs. 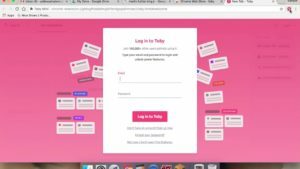 It can clean chat logs, history lists, and cached files in one easy step. AVG PC TuneUp also includes Live Optimization, which will stop resource-heavy applications from slowing down your PC, as well as a Browser Cleaner, which will clean various traces such as Flash cookies. Browser Cleaner is compatible with the Internet Explorer, Google Chrome, Opera, Safari, and Firefox browsers. 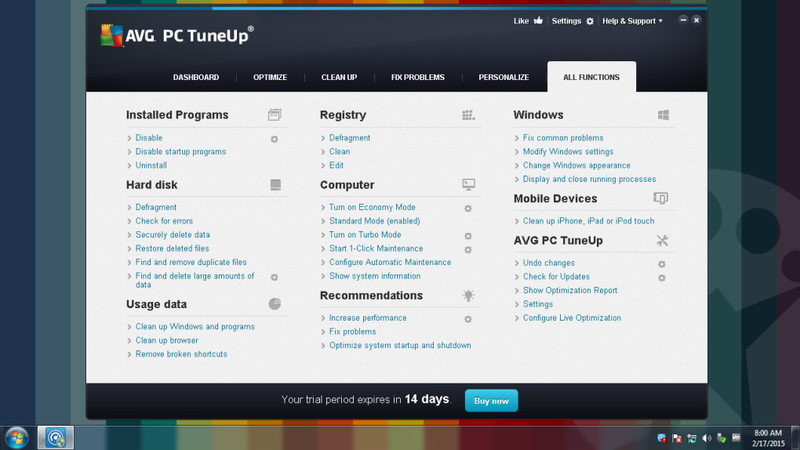 AVG PC TuneUp gathers all the maintenance and optimization tools you need into one efficient, easy-to-use application. You couldn't ask for more. Unreliable software. 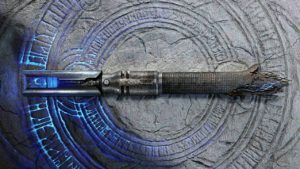 Many times it will not run when called upon. I am not sure if it is working or not. What do you think about AVG TuneUp ? Do you recommend it? Why?